Choose the brand of IP-phone you’d like to use. You can purchase new IP-phones for a one-time fee or use your existing IP-phones as long as they’re compatible. 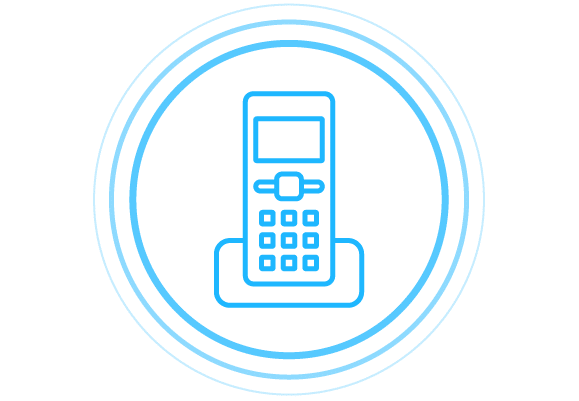 After you’ve selected the type of IP-phones you’d like to use, our support team will configure them and ship them to you at no extra cost. Once you receive your IP-phones you simply plug them into your internet router and activate service for $9.99/per month, per user. An IP-phone is a desk phone that uses your internet connection to make and receive calls. It’s easy to set up and includes all the features of a traditional office desk phone. You can add IP-phone service to your existing account for $9.99 per month, per user. Each employee extension you have set up in your phone system counts as a user. For some work environments, a cordless phone works better than a desk phone. If that’s the case for your business, we’ve got you covered. 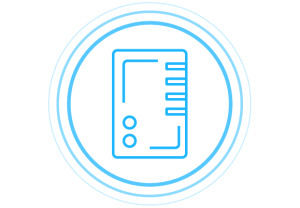 You can use a VoIP cordless phone with multiple handsets for the same monthly price as using a single IP-phone desk phone. Already have traditional telephones you’d like to use? No problem. 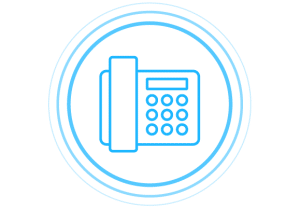 You can use a VoIP adaptor to convert your old school analog phone into a VoIP phone that uses your internet connection to make and receive calls for the same monthly price of $9.99 per month, per user. IP-phones are VoIP desk phones that allow you to make and receive calls using your local Internet connection. 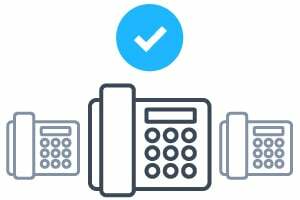 They’re easy to set up and include all the features of professional office phones used by both large and small businesses. 2. Do I have to use an IP-phone? No, you can always use the free UniTel Voice mobile app to make and receive calls, or simply forward your calls to any of your existing phone lines (cell phone, landline, or other telephone numbers). 3. How much do IP-Phones cost? First, you need the physical IP-phone itself. If you already have an IP-phone and it’s compatible with our service (most are) you may use that. The other option is to purchase an IP-phone though us for a one-time fee (at cost) and we’ll configure and ship it to you for free. Once you have a phone you can add service to your existing account for $9.99 per month, per user. With UniTel Voice, each employee extension you have set up in your phone system counts as a user. If you decide you would like to add IP-phones to your account you would be charged $9.99 per month, per user (i.e., employee extension). 5. What types of IP-phones can I use? 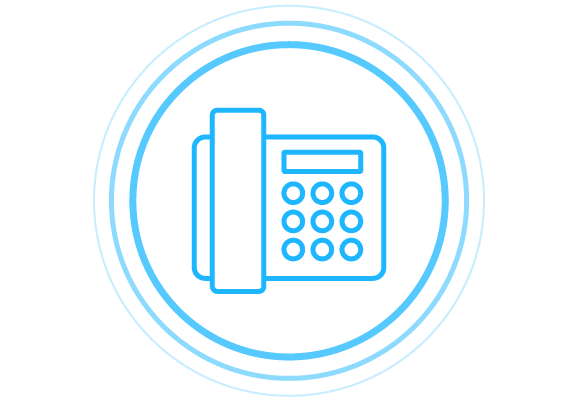 We work with most of the popular IP-phones on the market and will do our best to accommodate your needs if you have a particular brand or VoIP device you’d like to use. If you’re not sure where to start, here’s a list of our recommended VoIP phones and devices. 6. How do I order IP-phones? 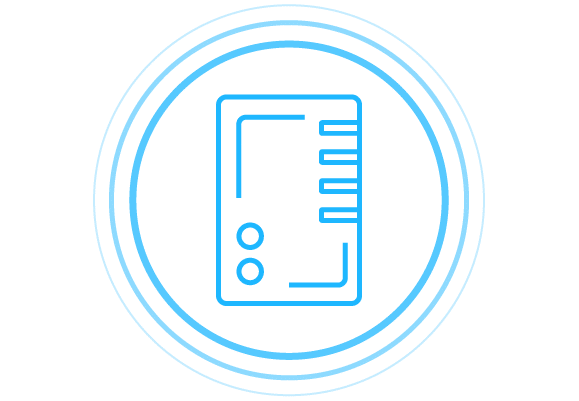 During the signup process, you have the opportunity to let us know if you’d like to add an IP-phone or softphone to your account, but you don’t have to decide at signup. You can add IP-phones to your account at any time or request a quote from our sales team. 7. Will you help me set up my IP-phones? 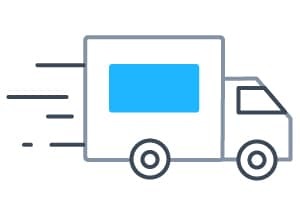 Yes, we’ll configure your phones and ship them out to you ready to use. 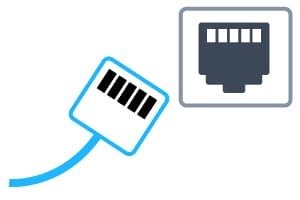 You simply plug them into your router and turn them on. If you have any trouble our support team is here to help. We can test your internet speed and help you troubleshoot if you have any problems at no extra cost. Our customer support is 100% USA-based and always free.